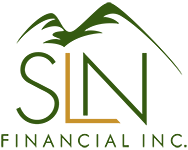 3 Life Insurance Questions to Ask Yourself | SLN Financial, Inc.
A lot of people purchase life insurance and never look back. If that’s you, you may think that once you place a life insurance policy, you’re set until, well, you know. Do I have the right type of coverage? The two types of life insurance – term and permanent – are different. Permanent coverage typically provides both a death benefit and a cash value. Term, on the other hand, will pay out a death benefit if you die within a certain period of time. You should consult with your financial advisor, consider your health, and then decide which plan is best for you. Is my current policy at risk of lapsing? Term life insurance holder? Be sure your policies are up to date. You’re required to pay premiums either monthly or annually. And if you don’t, you don’t receive the benefits should something happen. Permanent life insurance holder? If you’re able to let your dividends pay for the policy’s premium, be careful: you run the risk of lapsing your policy if your cash value and dividends aren’t enough to cover the premiums. Does my life insurance support my objectives? As life changes, it’s important to continue re-evaluating your life insurance needs. For example, if your children are done with college, you don’t need to fund any educational costs. If you paid off your home recently, you no longer need insurance money to pay off the mortgage. This is to say your life insurance needs may go down over time, and policy reviews are great ways to “check” your life insurance coverage and needs.